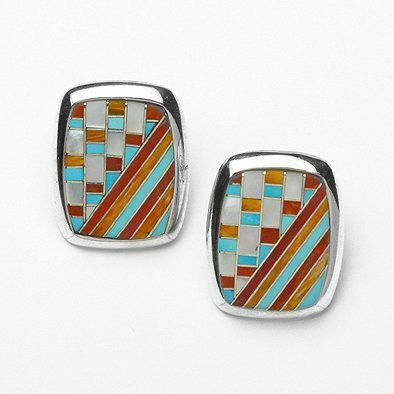 This gorgeous and unique set of earrings features an inlay pattern of turquoise, coral, mother of pearl, and orange spiny oyster shell. 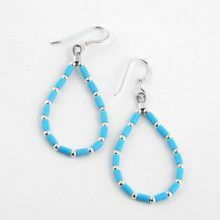 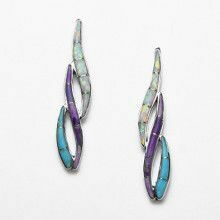 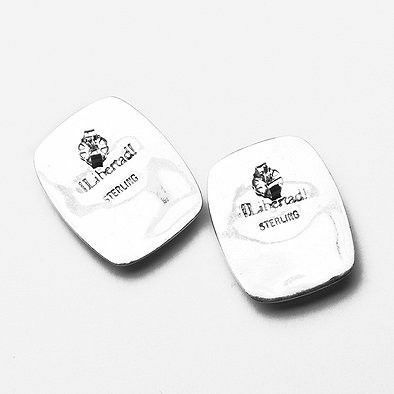 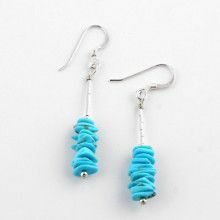 The earrings also feature genuine .925 sterling silver and measure Approximately 1 3/8" long x 7/8" wide. 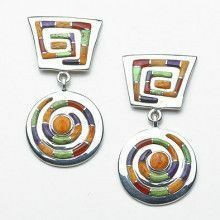 Earrings Measure: 1 3/8" x 7/8"